Like in all of the province of Quebec as well as in the provinces of Alberta and Manitoba, the legal drinking age in Montreal is set at age 18. It used to be age 20 until legislation changed it to 18 years of age in July 1972. The rest of Canada has the legal drinking age set at age 19. A minority of nightclubs set admission age at 21 so just be on the lookout for house rules. But in the vast majority of cases, you can absolutely frequent alcohol-serving establishments -or in the case of restaurants, order any beverage on the menu- in Montreal as long as you're 18 years of age. Believe it or not, there is a legal way to drink outdoors in Montreal. But it's not exactly straightforward and if you don't do your research, you could end up with a nasty fine. Nonetheless, it's a nifty little loophole as long as you know how to work the bylaws. Aching for a brewski? 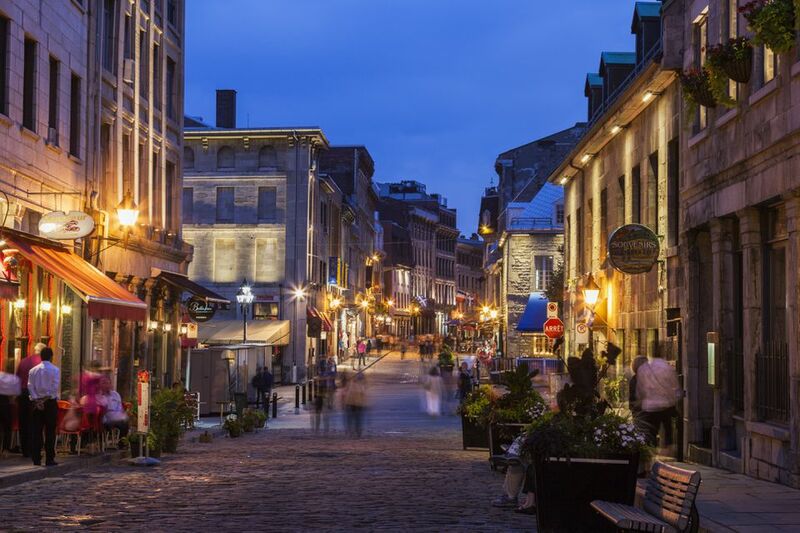 Head to Montreal's best brewpubs for tasty craft beers, or Montreal's top izakayas for choice sake. Or keep it simple with the classics at Montreal's Irish pubs. Sip on a martini in the highest restaurant in Montreal. Chinatown also has a couple of Tiki-inspired spots. And in warmer months, the city's best terraces are the place to be to enjoy cocktails with a side of people-watching. Live music with that drink? Go with Montreal's best jazz clubs or find the kind of music you like, from indie to hip-hop or EDM, with this list of recommended Montreal music venues and clubs. Sports? Get thee to Montreal's sports bars.